Hello again! As promised, I’m back today coloring cute Kiki digi-image from Tiddly Inks, using tips from Copic’s Coloring Cats & Dogs with Copic Markers. Isn’t Kiki cute? (She’s also FREE!) 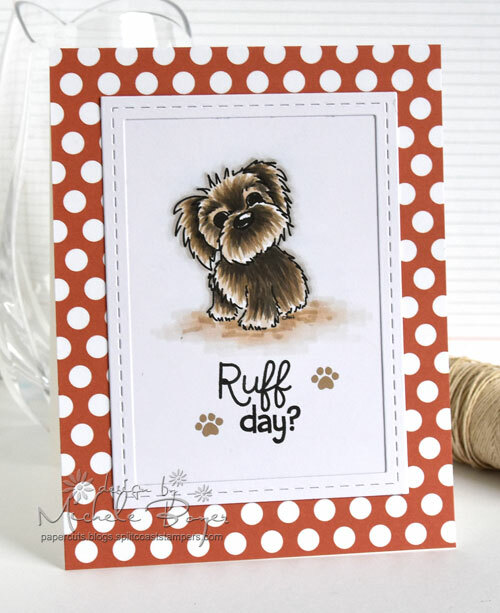 The sentiment is from Paper Smooches‘ Paws for a Cause and the Stitched Frame is from Taylored Expressions. 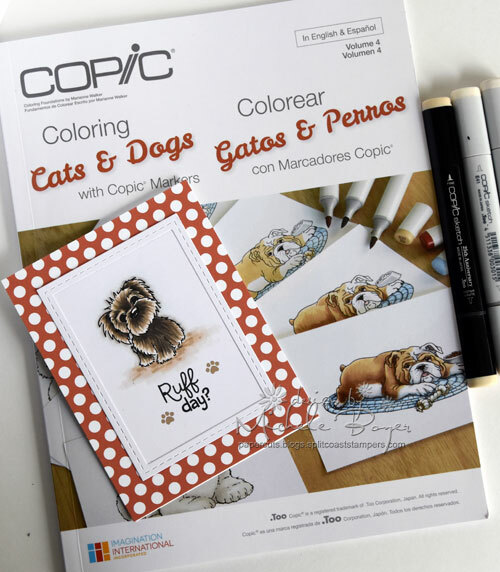 Coloring Cats & Dogs with Copic Markers focuses on many different aspects from basic smooth coloring to creating texture, adding shadows, coloring different lengths of fur, breeds and more. 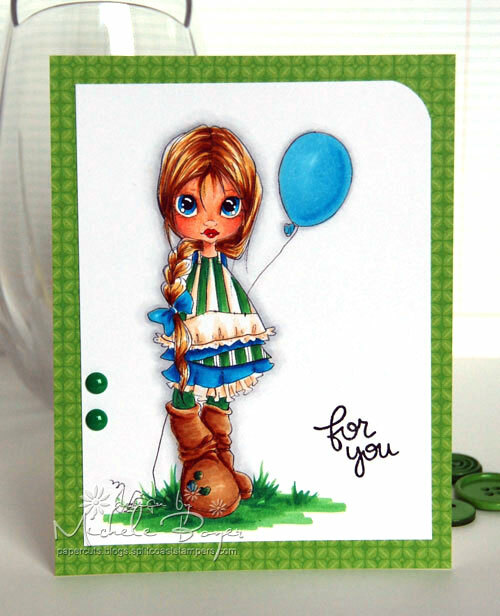 To color Kiki, I first printed her onto X-Press It Blending Card. 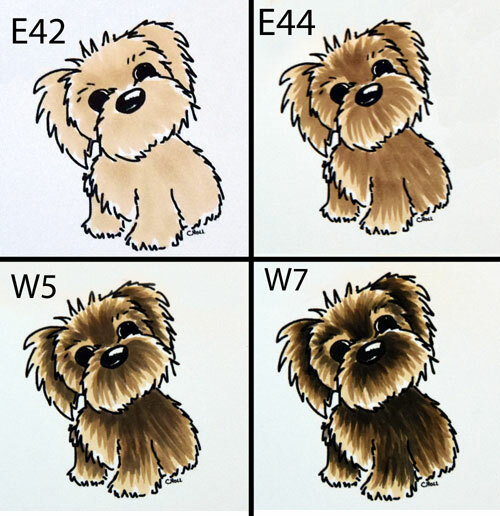 I began with a base of E42 then added the next darker shade of E44, using long feather strokes to apply the color. Next I began building shadow using W5, finishing with W7. The highlighted areas of white were left uncolored. Hi everyone! 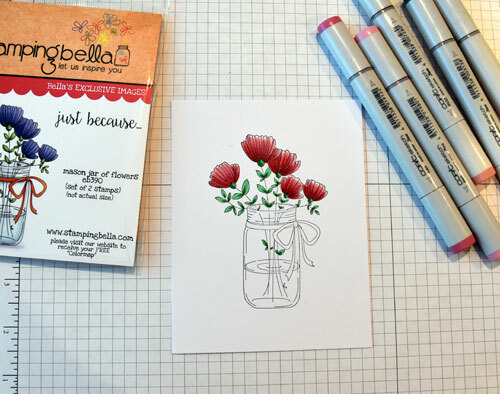 Today I’m featuring another topic covered in Imagination International‘s Intro to Coloring with Copic Markers. 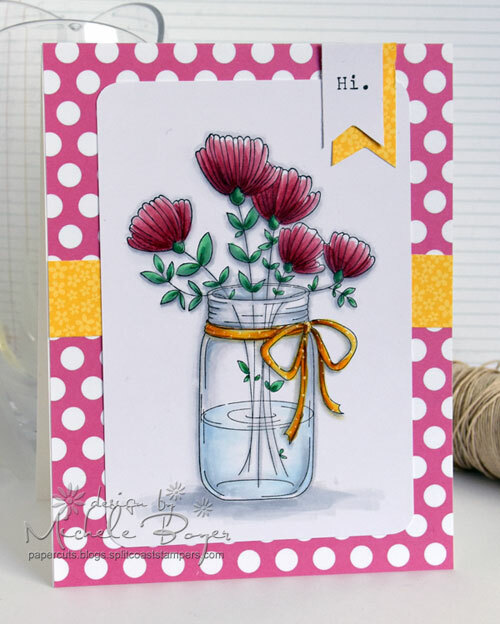 I first stamped the flowers onto X-Press It Blending Card and colored with Copics. 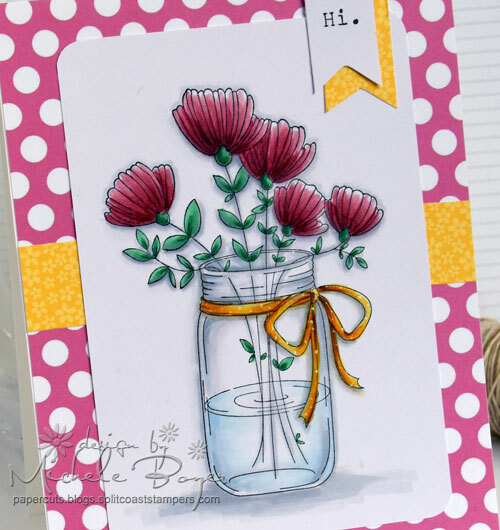 Next I colored around the edges of the jar using two grays, C1 and C3. 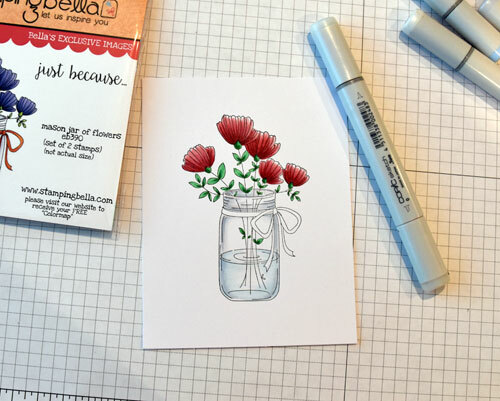 I left a small strip of white along the outside left and right edges of the jar and used short feathering strokes, moving in toward the center of the jar. I added blue to the water using B41, again using feathering strokes from outside edges in toward the center, leaving the center area white. Lastly, I applied Colorless Blender in the center, allowing the colorless solution to push the edges of the gray and blue ink away from the center and toward the edges. 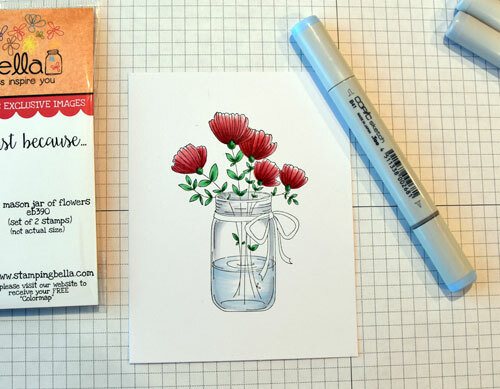 Once the coloring of the glass was complete, I added more shading around the flowers and ribbon and grounded the jar with a bit of gray. You can find this description in greater detail, as well as many other coloring tips and tricks in Intro to Coloring with Copic Markers. It is an excellent resource! 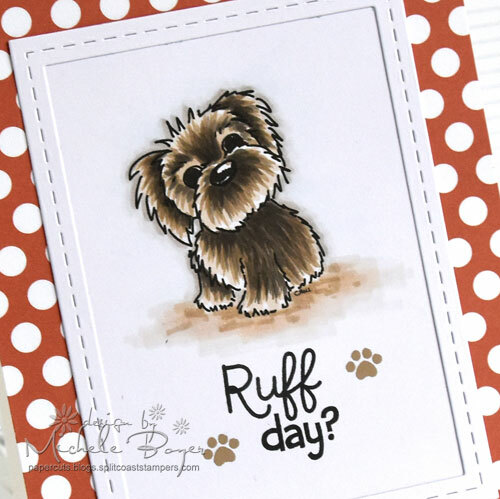 It’s always fun to add something a little unexpected to a card. 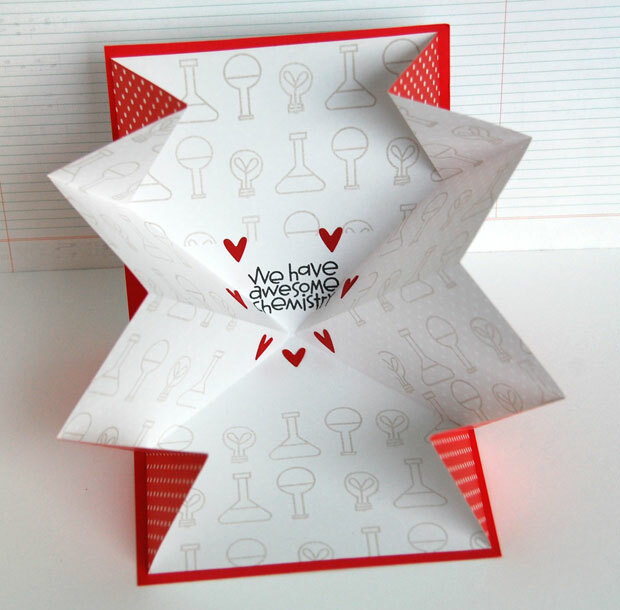 How about a pop-out insert that opens to be bigger than the card itself? Fun right? And super easy! 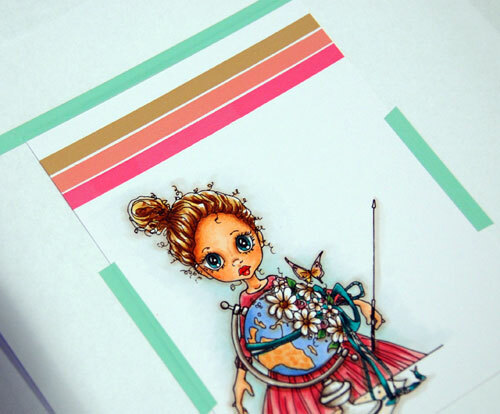 I created my insert with one-sided patterned paper to add a bit of color to the folds. 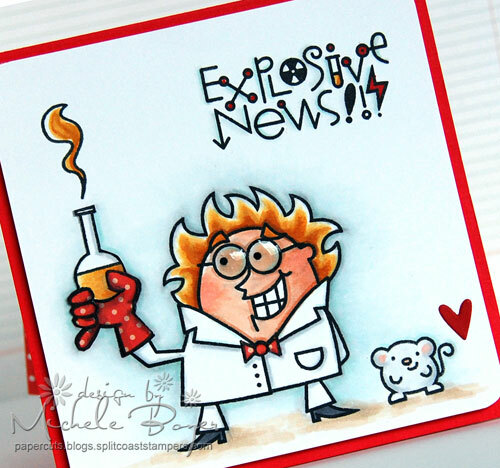 The white side was stamped lightly with a pattern of beakers and light bulbs with the sentiment stamped in the center. The insert opens to be completely flat so it’s easy to add a written message once assembled. 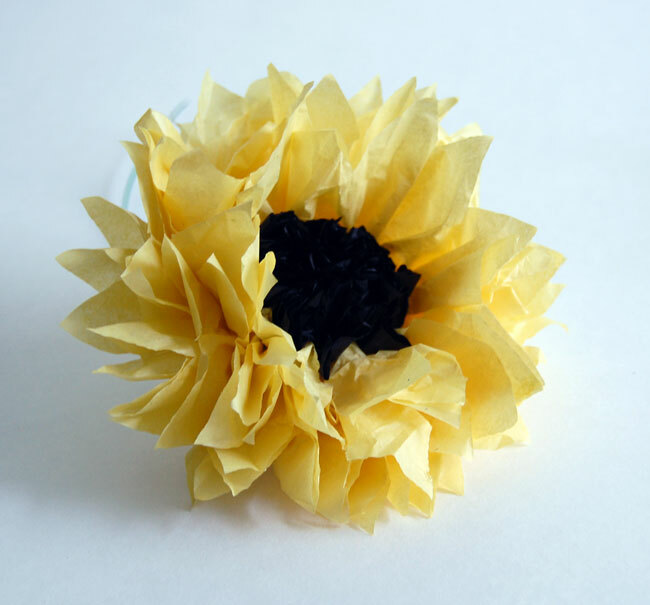 When fresh flowers aren’t seasonally available, why not make your own from tissue paper? 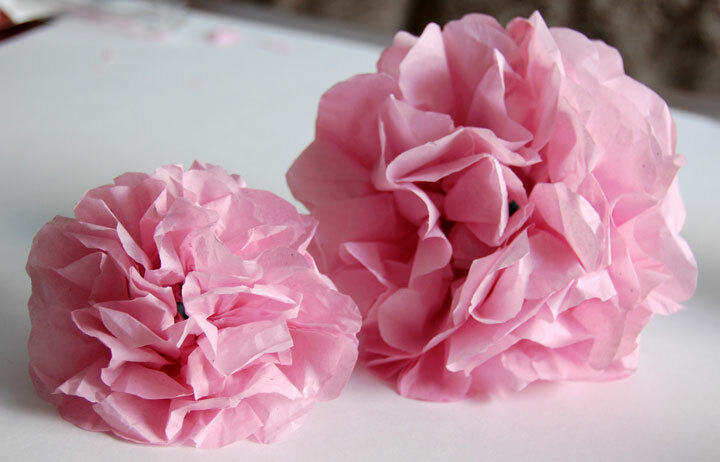 Tissue paper flowers are inexpensive and incredibly easy to create. On the Craftsy blog today, you’ll find step by step tutorials for three different flowers, all of which can be made in just minutes. 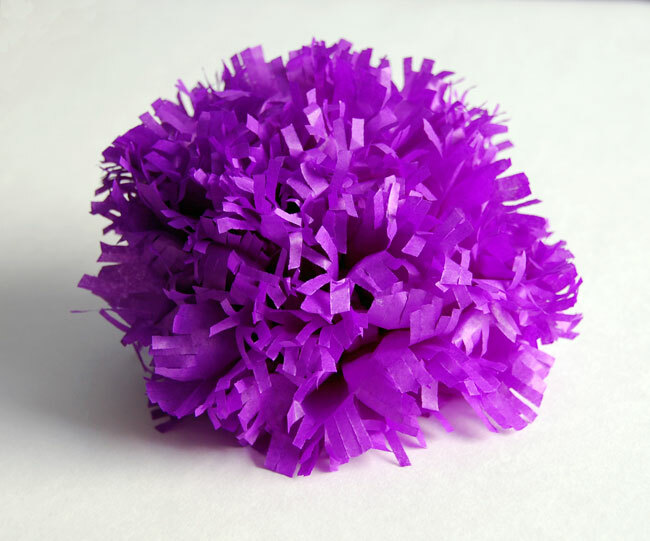 You can create very small or very large flowers simply by adjusting the size of your tissue paper sheets. 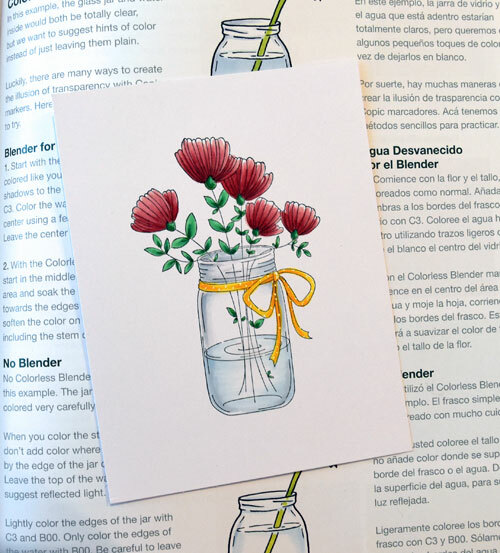 Create different flower styles by combining paper colors. 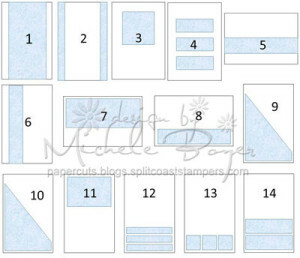 Or create a totally different look with a simple change in the way the paper edges are cut. Tissue paper flowers can be used to create a floral arrangement, as party decor, dress up gift wrapping and more! 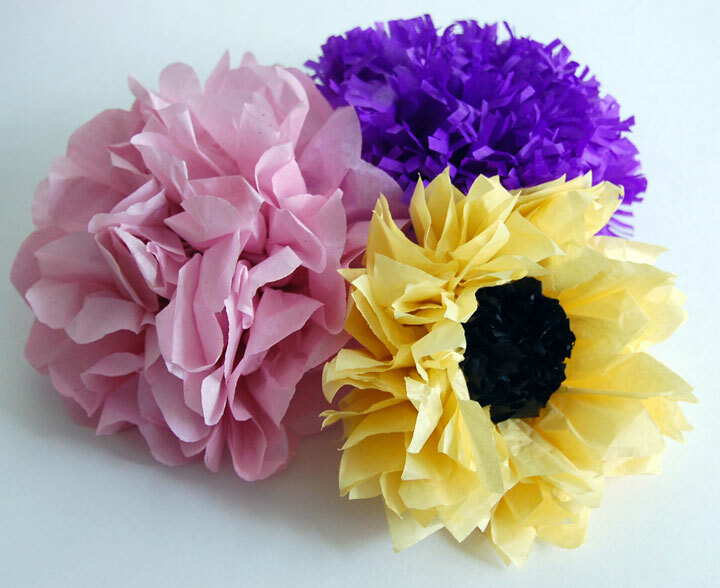 No matter the use, you’ll be amazed at just how easy tissue paper flowers are to create! 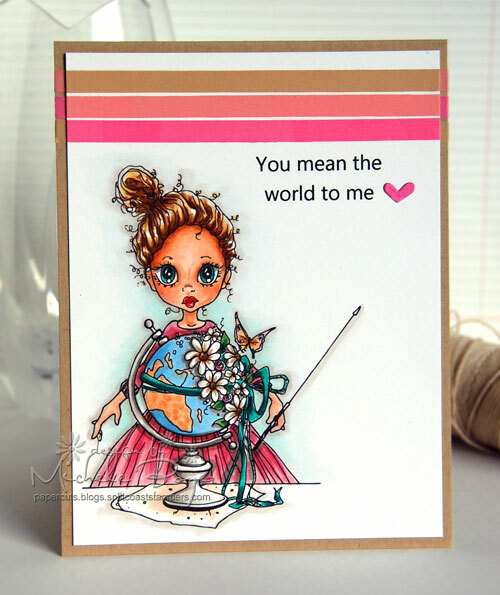 I hope you’ll check out the FREE tutorial (found here). 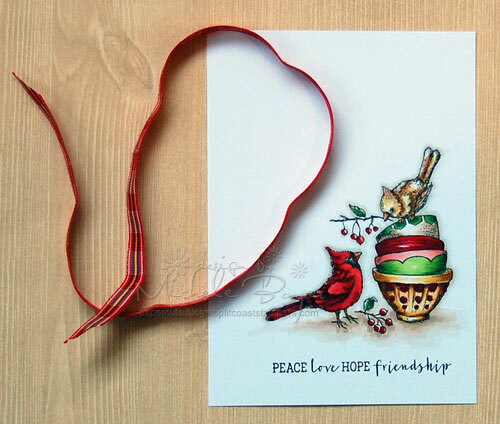 Add a unique design or color accent to any article of clothing, fabric, or fiber art with Hot Ribbon! 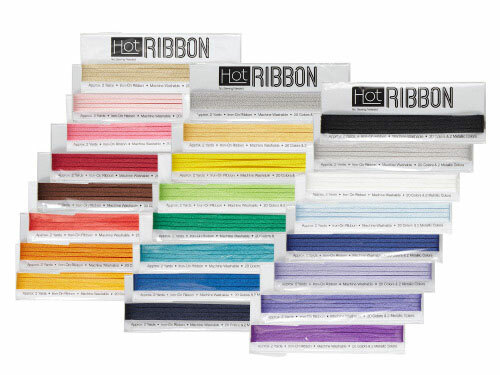 Hot Ribbon is a laser cut strip of polyester that irons on to any porous surface without sewing or the mess of glue. 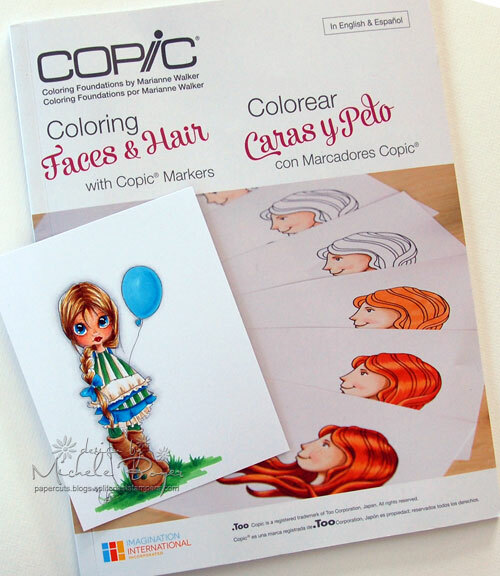 It comes in 22 colors, plus gold and silver metallic; you can even color the white Hot Ribbon with your Copic markers and expand your palette even further! 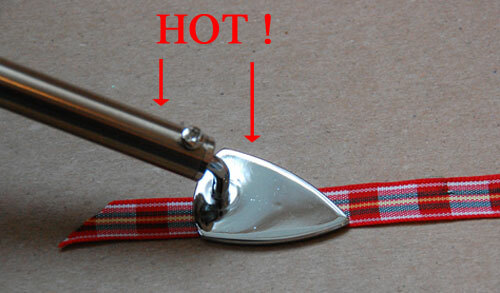 Hot Ribbon is so easy to adhere with a Clover Mini Iron (which I talked about yesterday, here). I’ve used this sewing design in the past to create a mini iPad sleeve. This one, a little bigger, will hold a super-secret iPad Air. Shhhh…. I first placed my pattern beneath the glass. I cut small pieces of black Hot Ribbon to fit the cacti and laid them on the glass over the pattern. I found it helpful to use the pointy end of my scissors for precise placement. The pieces were then “tacked” together and to the glass with a Clover Mini Iron set to low heat. Once the cacti were in place, I adhered the black ribbon, little by little, tacking to the glass following the pattern. I then followed with the blue-green ribbon. Once complete, I used a kraft knife to gently lift the assembled design from the glass. I trimmed the ends, positioned each strip on the felt and covered with a non-stick pressing sheet. (I used Parchment Paper.) 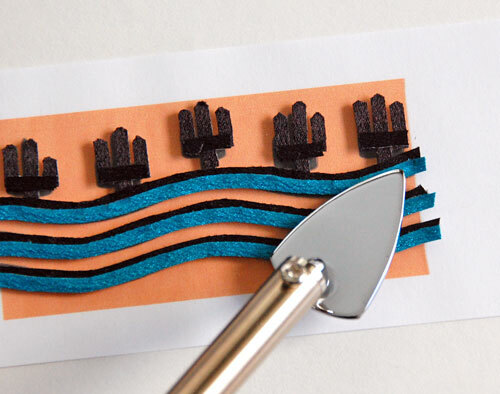 To permanently bond the ribbon, I set my iron to medium-high heat then pressed across each area of the design for about 30 seconds. Isn’t the blue-green pretty? So shimmery! On Black Friday there were so many great deals to be had. 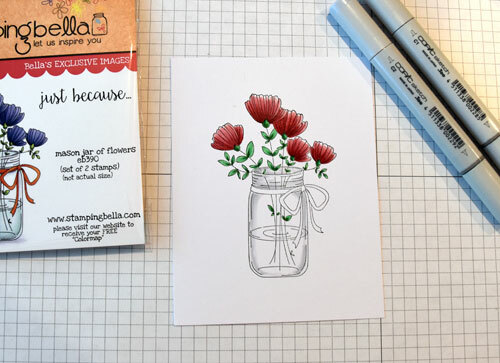 I accomplished a bit of Christmas shopping, and splurged a bit on myself, purchasing this sweet C0zy Cupfuls stamp set by Power Poppy. I know some of my friends will be surprised to see me posting this particular image because I am not a fan of (male) Cardinals. There’s one in particular that shows up every spring, year after year….after year. (I’m just assuming it’s the same one. For all I know, the whole lot of them are crazy.) This one follows me around the house from window to window, pecking wildly like it’s lost its mind. All. Day. Long. I don’t know what it’s trying to accomplish. It might be secretly entertained by my annoyance, screaming and yes, cursing. It makes me INSANE. Anyway, I specifically love the (quiet, non-threatening) female bird on top of the cups, sharing her twig (with the wacky one). 😉 I adore the other images in the set, but strangely enough, this one is my favorite. I don’t like the creases, and there always seems to be one or more in the worst locations after tying my bow. 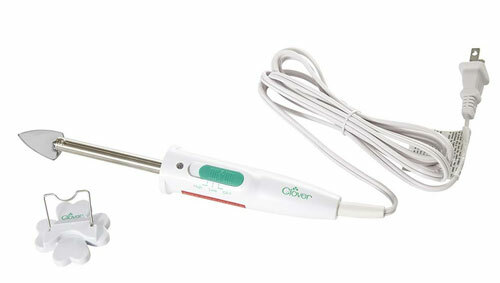 Now available from the Copic website is the Clover Mini Iron. It’s thin, has a perfectly small, pointed tip and heats in just a few minutes. 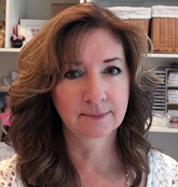 I’ll be back tomorrow to share another new (and very cool) product with which the Clover Mini Iron works perfectly! See you then! If you’re like me, you probably have a sheet (or twenty) of patterned paper tucked away somewhere, unused. 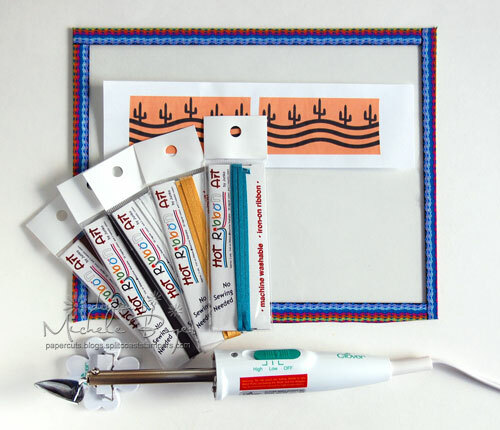 Why not put it (or them) to good use with the One Sheet Wonder, an oldie but goodie technique that provides patterned pieces for use on a set of cards. 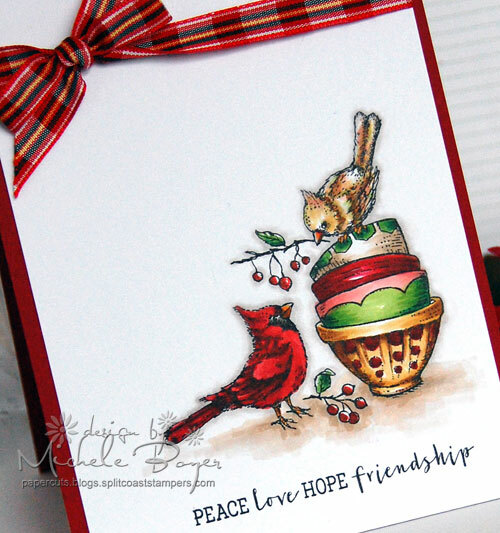 To create this entire stack of cards, I used Simon Says Stamp’s Sending & Wishing stamp set and dies with Hero Art’s Stamptember exclusive Prayers stamp set and die and one 12″ x 12″ sheet of Recollections’ Pink Roses patterned paper (from Michael’s). 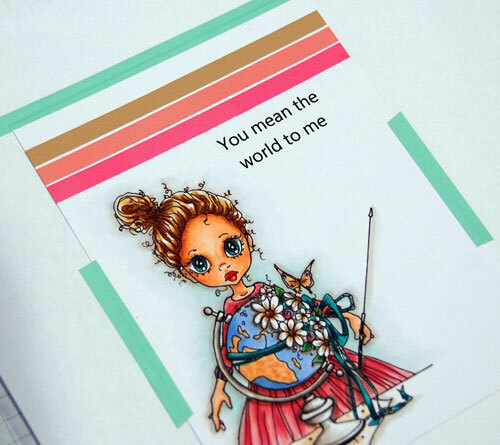 The only extras required are card bases and matting (card stock) for the patterned pieces. 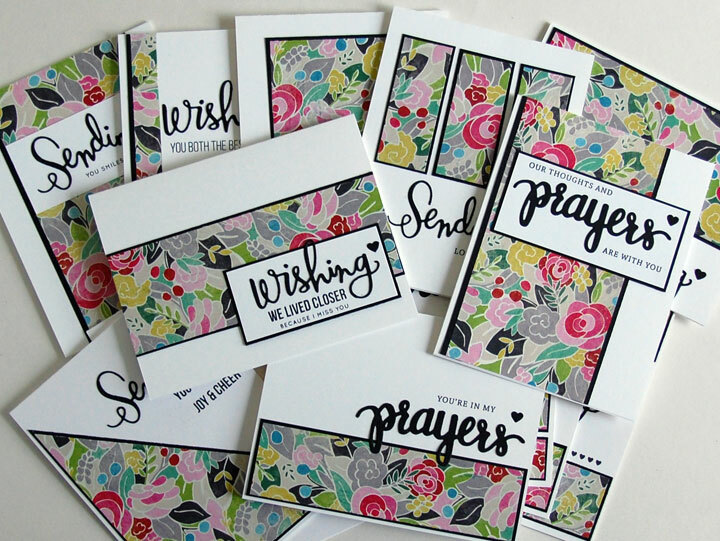 I love the results, but even more so I love having a stack of pretty all occasion cards on hand to send at a moment’s notice. I put pencil to paper and created a template that resulted in 14 QUICK and EASY cards. I really don’t know why I didn’t think to do this sooner. 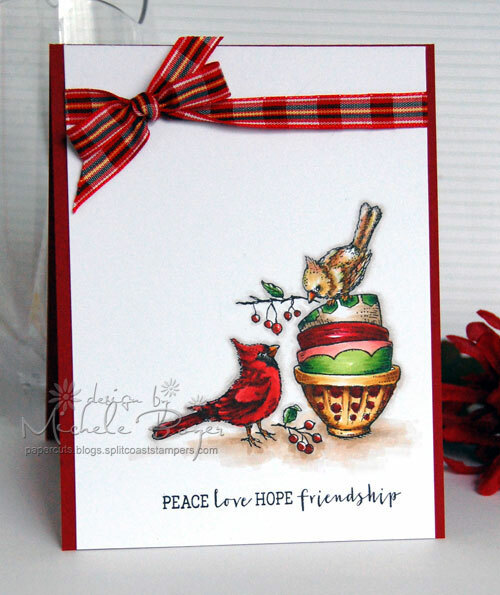 Imagine how quickly you could create a set of holiday cards! 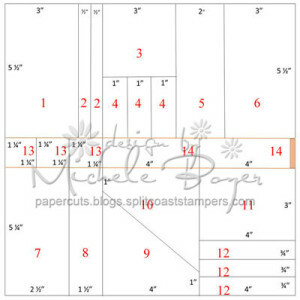 On the Craftsy Paper Crafts blog today, you can find larger photos of my One Sheet Wonder template and corresponding card sketches as well as tips for creating your own One Sheet Wonder and keeping all those pieces organized. I hope you’ll check it out and give it a whirl! I know I’ll be using my template again soon! 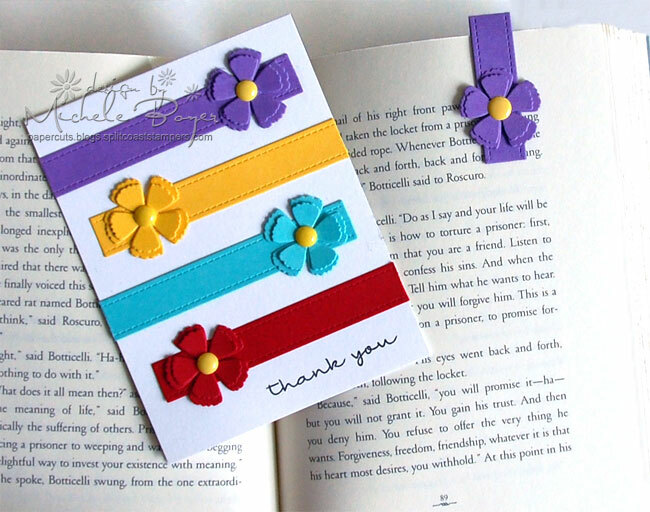 Creating a bookmark to coordinate with a handmade card can be quick and easy as well as a nice surprise for the recipient. 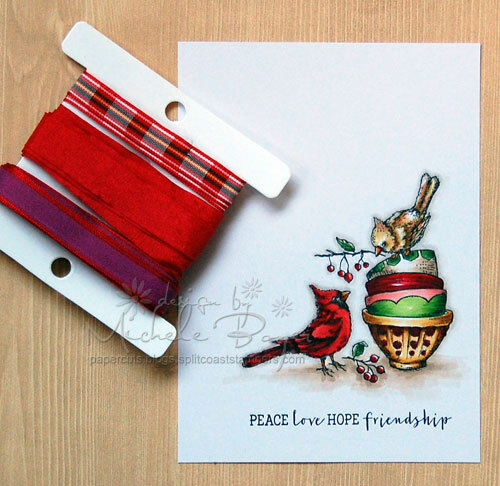 I chose three previously designed cards and created a matching bookmark for each using three different styles. 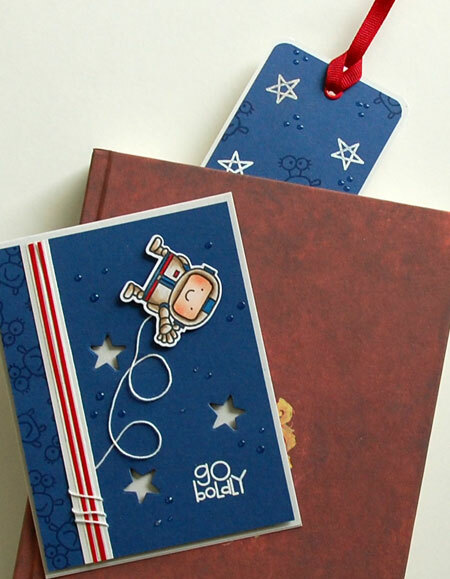 The bookmark above includes a hidden magnet to snugly hold the place of the marked page. 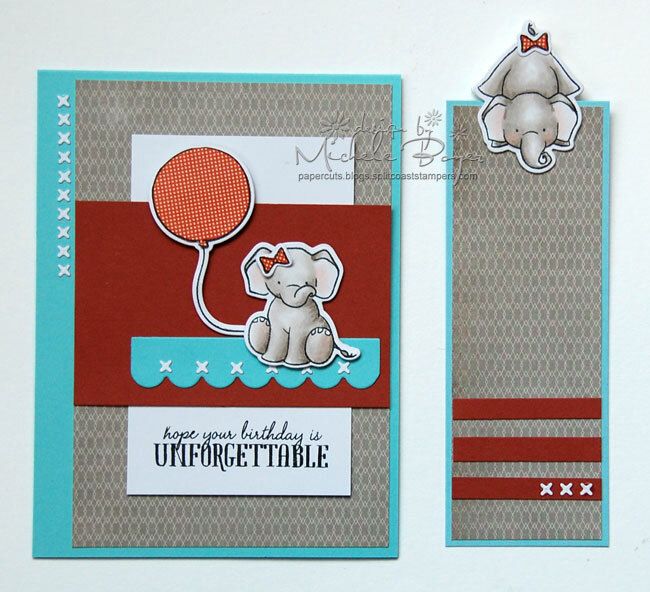 To use this bookmark, the page is inserted between the longer panel and the elephant so the elephant appears to be floating or peeking over the top of the page. The quickest and easiest of the three was designed with elements pulled directly from the card. 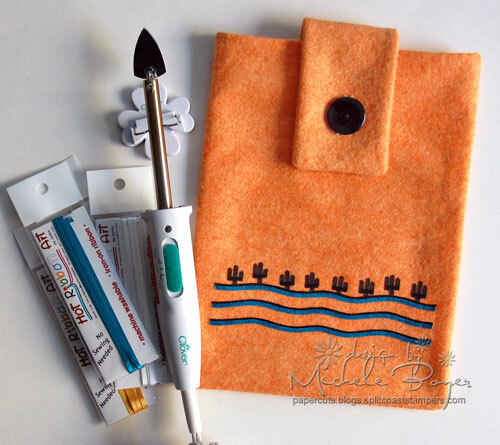 You can find step by step tutorials for each HERE on the Craftsy blog today. 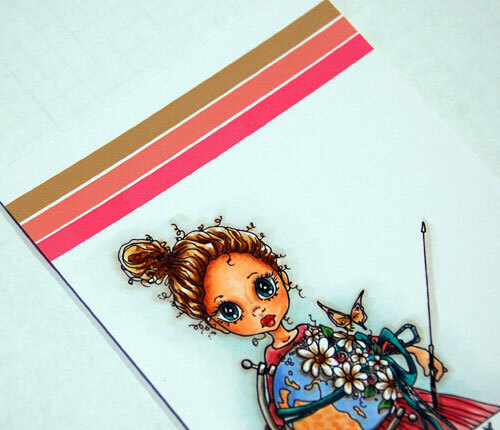 Along with coloring Beautiful World, I used a new product found in the Copic store, Paper Deco Tape. Each package contains ten 15 ft. rolls. 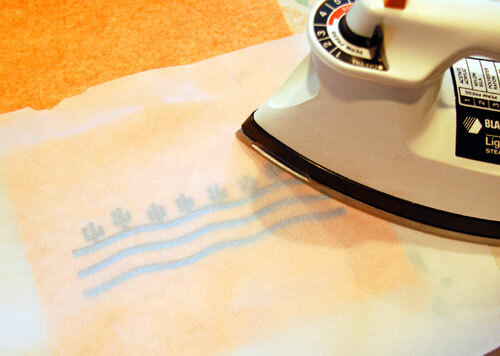 It’s super easy to tear or cut and is easily repositionable, leaving no tacky residue behind. 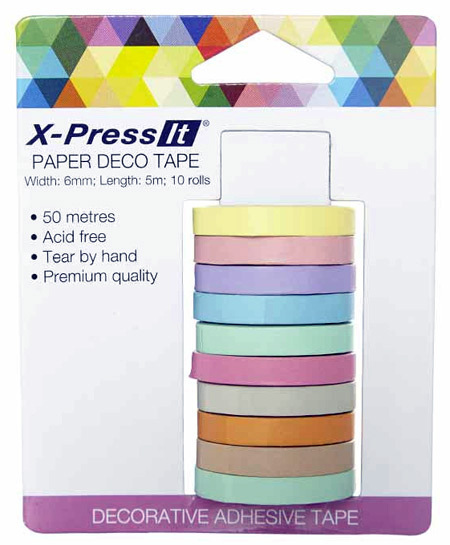 It’s available in the collection of ten rolls shown above as well as a set of ten glitter paper rolls. As an extra little bonus, the package”post” pulls out so tape can easily be removed for use then replaced for convenient storage. I used three of the colors to create a striped pattern above my colored image. 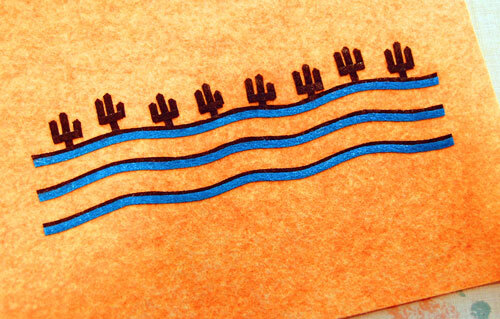 With the colored image secured over grid paper, it was easy to apply the tape in perfectly straight lines. Next step, printing the sentiment. I printed the sentiment onto a piece of printer paper. I held the sentiment up to a window, then placed the colored panel on top. I could easily see the sentiment through the colored panel so I carefully positioned the sentiment where I wanted it to print then used the Deco Tape to hold the colored panel in place while traveling through my printer. For extra stability, I added shorter strips of tape to the left and right sides. The tape held my colored panel perfectly in place with no shifting at all. Once printed, I carefully removed the tape and finished my card. 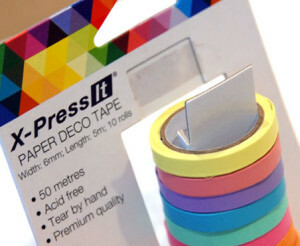 I have a few other uses in mind for X-Press It Deco Tape. I’ll share those soon! Thanks so much for stopping by! I love to color all things, but if you’re a regular here on my blog, you know people are my favorite. There’s just something about bringing life to a face or figure. Boy or girl, young or old, it doesn’t matter. I, of course, have my way and style of coloring, but I love to see how others do the same. And I’m always up for learning something new!